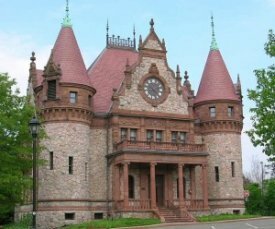 Wellesley is home to some of the most beautiful stone in the world. The city is full of beautiful homes of many architectural styles that line the manicured streets. Boston Stone has worked with area residents in restoring their natural stone, granite and marble to new vitality and beauty for years. 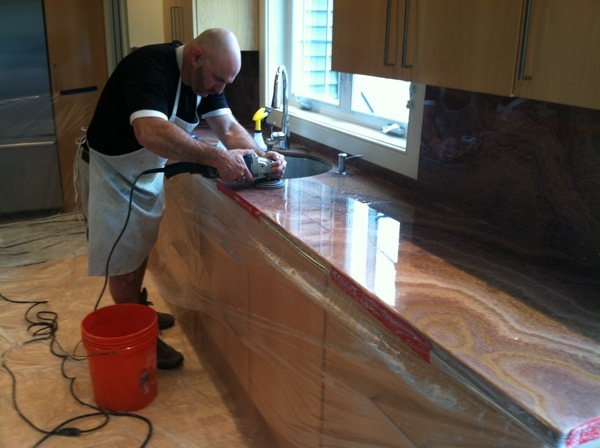 To discover options, possibilities and solutions for natural stone care needs, contact Boston Stone Restoration for an in-home stone restoration consultation. An indoor pool surround had years of damage. In 2012 we worked on the 1500 square foot indoor pool deck made of polished Black Absolute granite. Black Ab is perhaps the hardest & most dense of all the granites. That’s why it’s so popular. However, in this case, chlorine and other pool chemicals had leaked onto the surface and remained there for a period of about 3 weeks. The result was severe damage to the surface of the stone. The damaged area needed to be diamond honed to fully restore the high polished finish. Then, the undamaged area needed to be honed and polished so that it matched the damaged space precisely, restoring the pool area to the showpiece originally planned for this elegant home.